Bound, blindfolded and with a broken jaw, the terrified Territorial Army soldier must have thought he was about to die at the hands of the Provisional IRA in the republican north Belfast redoubt of Ardoyne. It was 11 July 1986, the eve of “The Twelfth”, when Protestants celebrate King William’s victory at the Battle of the Boyne. But instead of ending up at one of the bonfires lit at midnight to mark loyalists’ and unionists’ most important day, the army reservist from the Protestant West Circular Road had strayed too close to Ardoyne and had been kidnapped by local republicans. As the soldier awaited his fate in the early hours of the 12th, having sustained a savage beating at the hands of his two IRA captors, a pair of joggers approached the house, apparently on a morning run. Yet when the two men, dressed in tracksuits, stopped at a house in Holmdene Gardens, they turned to the door and kicked it in. Once inside, they drew their guns and went searching for the missing soldier. The reservist was about to be rescued by the SAS. His two IRA guards bolted but were captured shortly afterwards in a joint army-police operation after hiding in the loft of a house in the street behind. 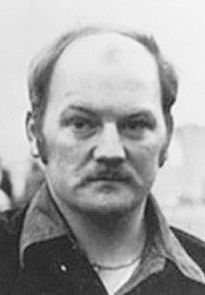 The IRA men were veterans of the Provisionals: one was the late Martin Meehan, a street fighter famed for prison escapes and gun battles with the British army. The younger man, still in his 20s, was Kevin McGuigan, whose death in August this year has brought the power-sharing process in Northern Ireland to the brink of collapse. It is this killing, which the police say was carried out with the involvement of the Provisional IRA, that has plunged the province into its worst crisis for a decade, raising the critical question: is the IRA still a functioning and deadly force? For kidnapping the TA soldier, Meehan and McGuigan were sent to the Maze maximum security prison outside Belfast, where they joined their imprisoned IRA comrades in the H-Blocks. When both were eventually released in the early 1990s, Meehan moved into politics, eventually becoming a Sinn Féin councillor. The republican movement, however, had a different role for McGuigan to play: he would become one of their most feared and ruthless assassins. When the IRA declared its ceasefire on 31 August 1994, the organisation remained on a war footing. To keep its footsoldiers busy and the fighting machine oiled, the organisation spent most of the early part of 1995 gathering intelligence on a new generation of criminals who were amassing fortunes selling drugs in Catholic working-class areas of Northern Ireland. Operating under a flag of convenience – a campaign group called Direct Action Against Drugs (DAAD) – the IRA selected McGuigan for an assassination unit that would target alleged drug dealers in Belfast and other parts of Northern Ireland. Another even younger activist who was being groomed to become Belfast IRA commander – and ultimately, perhaps, the organisation’s overall chief of staff – was drafted in to run the DAAD murder campaign. His name was Gerard “Jock” Davison. DAAD’s offensive began in April 2005 when they shot dead drug dealer Mickey Mooney in a downtown Belfast pub. Between 1995 and 2001 the group killed up to a dozen men. 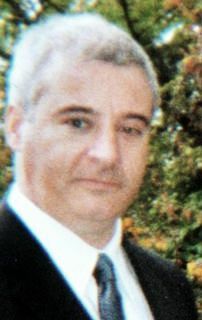 Security sources have told the Observer they are “absolutely certain” that McGuigan killed at least one of the victims of this vigilante campaign – Brendan “Speedy” Fegan in May 1999. The death of Fegan, at a bar in Newry close to the border with the Irish Republic, demonstrated McGuigan’s prowess as a murderer. As he entered the Hermitage Bar in Newry city centre, McGuigan, wearing a wig and fake moustache, fired a number of shots into the roof of the pub, causing panic and chaos. McGuigan singled out the 24-year-old drug dealer, shooting Fegan about 16 times. The unit of McGuigan and Davison became an object of fear among the IRA’s many enemies, and its activities led to the latter’s promotion to head the Provisionals’ Belfast Brigade. Yet in a world of volatility, suspicion and daily violence, the fellow IRA killers would eventually fall out. Both men had grown up in the Market area of central Belfast but spent a lot of their adult life just across the river in the Short Strand area – a Catholic district bordered on three sides by the mainly loyalist east of the city. Although a family man and a passionate follower of Gaelic sports, McGuigan’s volatile nature meant that even neighbourly disputes could end in violence. One such attack on a veteran republican family resulted in the IRA’s internal discipline unit being called in. McGuigan was sentenced to a “six pack”, which, translated from Belfast street parlance, means gunshot wounds to the feet, knees, hands and elbows. McGuigan was bitter for years and believed one man was to blame for his punishment – Davison. For a decade, McGuigan nursed a dark grudge, which the IRA in Belfast now believe led him to kill Davison on a rainy Tuesday morning in May. The description of the gunman fitted McGuigan’s profile: diminutive, wiry, fit and professionally covered-up. In the weeks and months following Davison’s murder, the 53-year-old father of nine issued statements through his solicitor denying any role in the killing. Over the summer McGuigan was warned three times by the Police Service of Northern Ireland that his life was danger, but he chose to remain in the Short Strand with his wife, Dolores. While the police appeared to be making no progress over the murder, Davison’s closest comrades were holding their own secret inquiry. They set up a unit that carried out interrogations and put a surveillance squad on McGuigan. Inside the Belfast IRA, meanwhile, debate raged over whether to strike back at whoever killed Davison, with some close to the Sinn Féin leadership fearing that bringing IRA footsoldiers back onto the streets would create a huge political crisis. According to sources close to senior republicans, what swung that debate over to the side of those urging a brutal response was the surveillance team. They reported first to a one-time Belfast Brigade commander that they had seen McGuigan at Davison’s home. This IRA veteran, who once directed the Provisionals’ bombing campaign in Belfast and was close to Davison, then persuaded other senior republican figures to act – or they might be next. Around 9pm on 12 August, as McGuigan was pulling up in his car with his wife at their home in Comber Court, two men clad in dark clothing ambushed him. They wounded him with a volley of shots and, as he tried to escape, killed him on the ground in front of his wife. The Democratic Unionist party has threatened to pull down Northern Ireland’s coalition due to the alleged role of the IRA in McGuigan’s death. 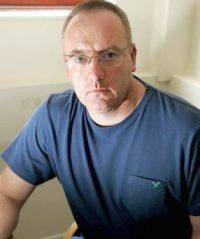 But Gary Donnelly, a former prisoner and Independent Republican councillor in Derry, said he didn’t believe unionists really cared about an ex-IRA gunman who, if ordered to do so during the Troubles, would have assassinated any unionist politician. “Bodies in the street and high-profile arrests are optics to deflect the electorate from substantive political issues. I have no doubt Stormont will be back soon and will continue to yield a political dividend for the British government,” Donnelly said. Northern Ireland is unlikely to return to the sort of society it was back in 1986. The community from which McGuigan emerged doesn’t want to go back to war. While power sharing remains in peril, there will be no return to the 24/7 conflict of the Troubles past. Yet the murder of the former IRA gunman illustrates how that past continues to haunt the politics of the present. Republican sceptics might be correct in suspecting unionists are using the killing to crash the current power sharing arrangement and, after elections later in the autumn, restore devolution on a basis that is more favourable to them. But past grudges, bad blood and one-sided folk memories of the Troubles still pollute the atmosphere in the region – not only at the parliament on the hill at Stormont but far beyond, in the old war zones where the conflict once raged.